Grandma Dora’s mother, Edith, with my Dad. I noticed that this recipe was copied in the box on two different recipe cards. 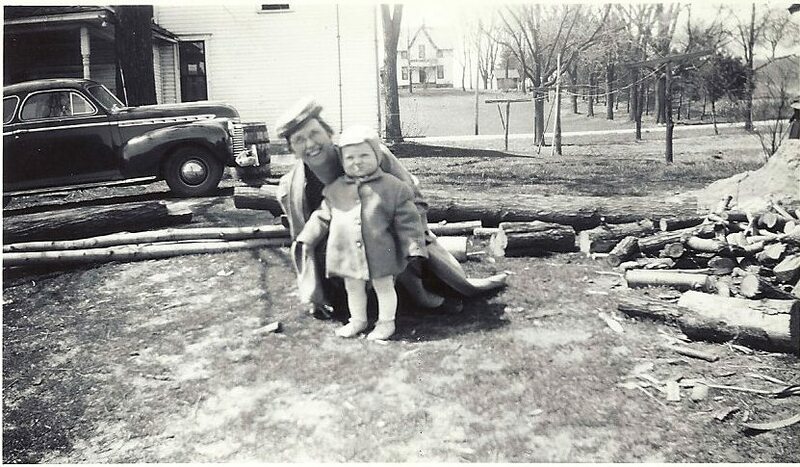 As we continue to look through the boxes, we are beginning to wonder if one of them originally belonged to Grandma Dora’s mother, Edith and the other one was Grandma Dora’s own. 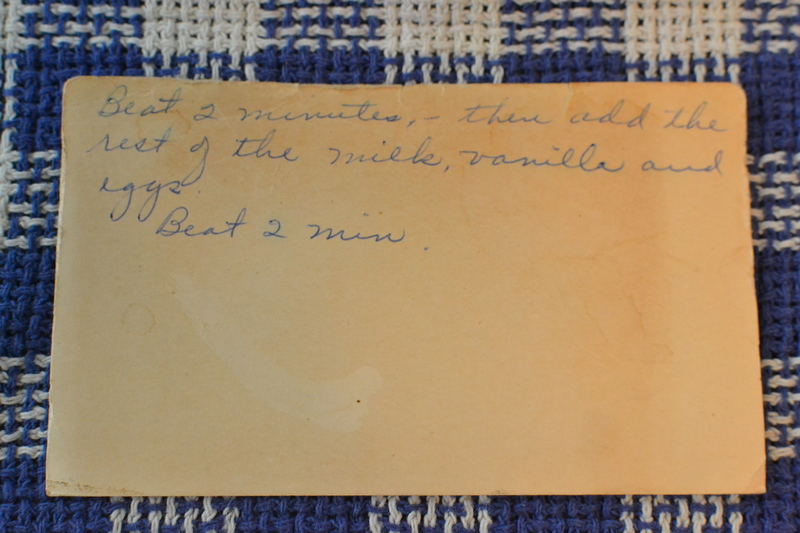 Since I found this recipe twice I wonder if both Grandma Dora and Great Grandma Edith had it in their boxes. So, it must be a good one! 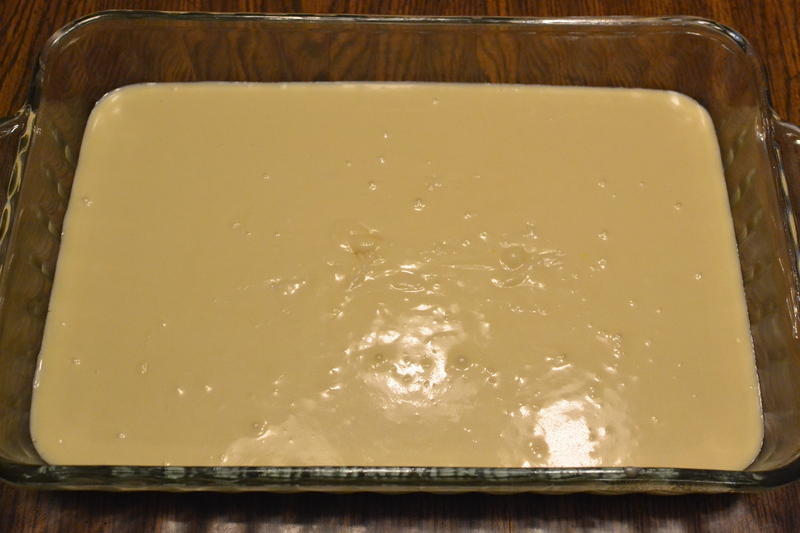 The recipe is very simple to put together – really not much more work than a box cake mix. I like that about it. Sift dry ingredients together. 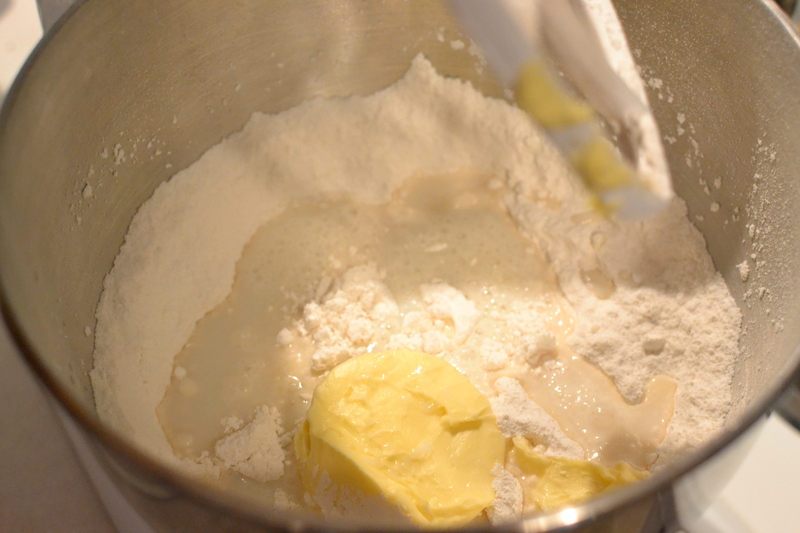 Add shortening and 3/4 cup of the milk. 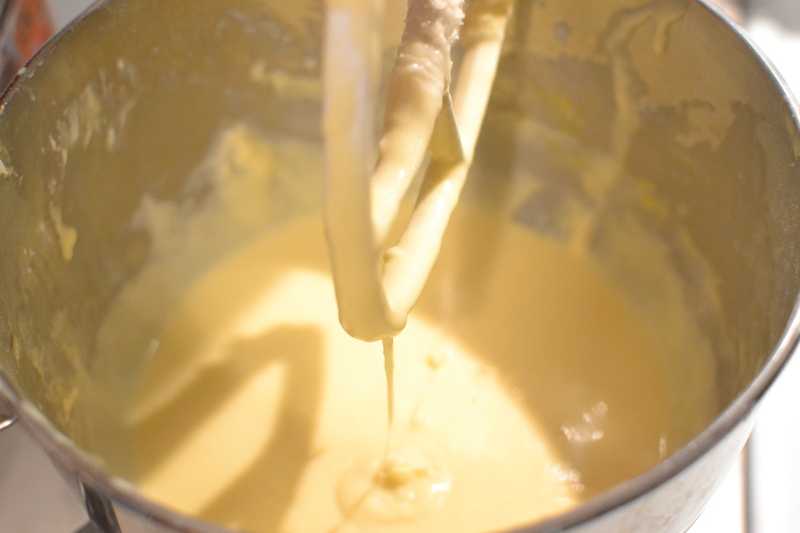 Beat 2 minutes, then add rest of the milk, vanilla and eggs. Beat 2 minutes. I mixed the dry ingredients together. I then added the shortening and 3/4 cups of milk. I beat these together for two minutes. I then added the rest of the milk, the vanilla and the eggs. I beat this for 2 more minutes and I had cake batter! 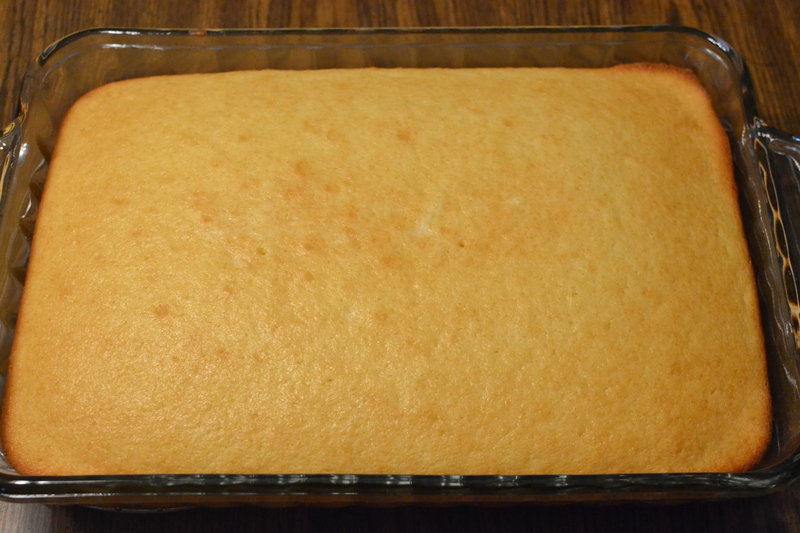 I poured the cake batter into a 9×13 pan, but you could also use two round pans or even make cupcakes. There were no baking instructions on the recipe. I decided to bake it at 350 degrees for about 30-35 minutes. It turned out very nice and golden. I was pleased with the way this cake turned out. 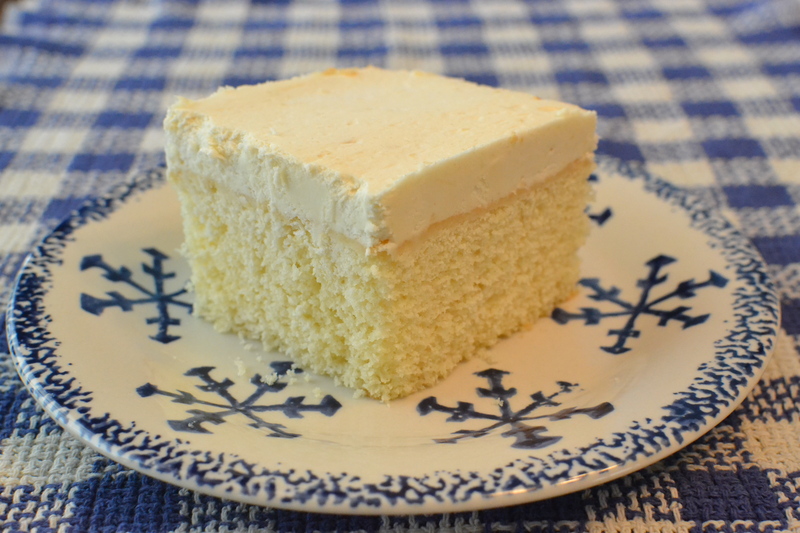 It was simple to make and free of all of the preservatives you would find in a “box cake mix.” I used another recipe, Dorothy’s Butter Cream Frosting to frost the cake. I will share that with you in my next post. 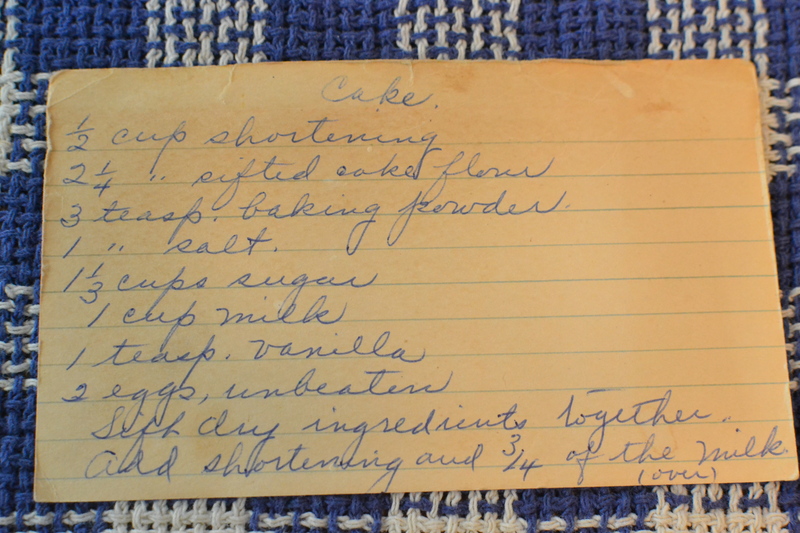 This entry was posted in Cake, cupcakes, Dessert and tagged baking, cake, dessert, farm cooking, home baking, homemade, Kitchenaid, scratch cooking by GrandmothersRecipeBox. Bookmark the permalink. Thanks! The Cake recipe is another winner! So simple and easy to make.